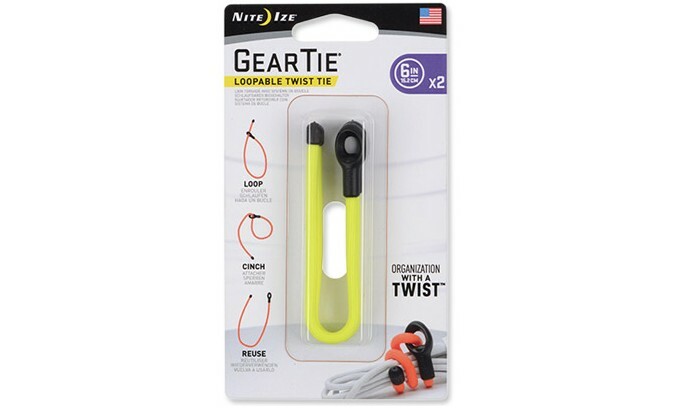 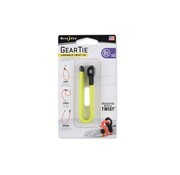 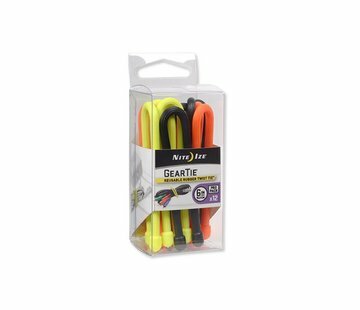 Nite Ize Gear Tie Loopable 6" 2Pack (Neon Yellow). 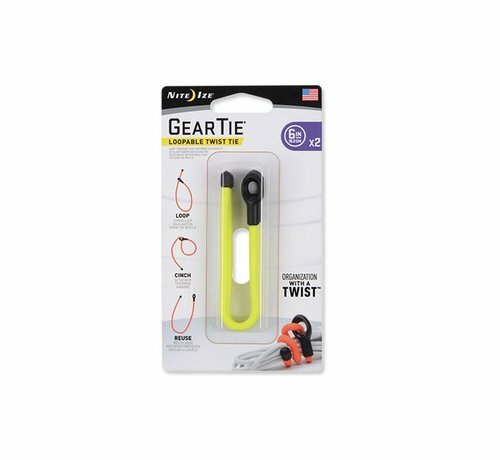 With its strong, bendable wire interior and durable, ridged rubber exterior, our Gear Tie 6" Loopable Twist Ties grip, wrap, and secure most smaller items - like charge cords, USB cords, and headphone cords - hundreds of times in hundreds of ways. 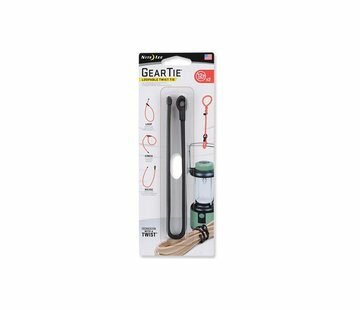 Two or more Gear Ties can also be looped together to create a chain of any length—the configuration possibilities are as endless as the number of little things it will organize, hang, connect, attach, and carry for you.